BSMPG is proud to announce JAY DEMAYO as a speaker at the 2015 BSMPG Summer Seminar - May 15-16th, 2015. Last year was a sell out and the only difference this year will be us announcing a sell out well in advance! This will be one of the greatest performance and therapy seminars of all time! 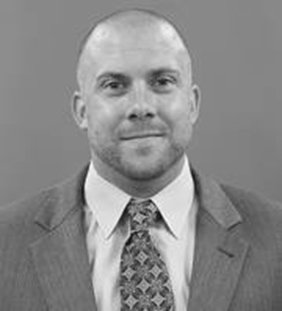 Jay DeMayo has been the Head Strength and Conditioning Coach for Men’s and Women’s Basketball at the University of Richmond since October 2005. Jay is a graduate of the State University of New York College at Cortland where he was a two year starter on the Men’s Soccer team. Prior to taking over the responsibilities of Men’s and Women’s Basketball at UR Jay worked with every team on campus as the Assistant Strength and Conditioning Coach working. During his tenure at Richmond, Coach DeMayo has worked with five All-Americans, and 10 Atlantic 10 championship teams. Presently Jay is also responsible for the dry land training for NOVA Aquatics LLC, one of the top youth swim clubs on the eastern seaboard where he has coached over twenty athlete’s whom have qualified for Olympic Trials. Coach DeMayo has also been a presenter for four consecutive years at the Pennsylvania State Clinic at Juniata College. At the PA State Clinic Coach DeMayo has spoken on “Training Soccer Players, Developing a 3 Day Strength Training Program,” “Max Effort Training for Sports,” and “Lift Preparation, The Next Evolution of the Warm Up,” “Developing a Progression for Auxiliary Lifts” and “Teaching the Squat and Deadlift.” Coach DeMayo has also presented at the University of Richmond Sports Performance Clinic and with the Cal Ripken Jr. Baseball Academy. Coach DeMayo has also been involved in developing the Basketball Strength Symposium in Raleigh, NC, and the Central VA Sports Performance Seminar.